This firm is the realization of a dream to create the best possible defense in every state. I would like to first say on behalf of my whole family, thank you. You delivered on everything you promised and really came threw for my family. It’s rare in today’s age that a lawyer really does what they promise they are going to do. You really helped my father out and got him the best deal possible. Once I saw how the judge gave the defendant that went before my father 51 months for just being on a boat that brought in marijuana to the United States. I got really worried. Right then I thought my father was going to get the maximum, including the two point increase. Especially after the judges opening remarks. When she stated that one of her own colleagues had a similar case and added the two point increase. And how it was becoming more of a trend. However, Jen and yourself really did an amazing job not only getting the two point increase thrown out but also limiting what the victims could say about my father. By making them only speak about there experience. Myself and my family are really grateful for all yours and Jens hard work on this case. Please tell her how grateful we are for all the hard work she did on my fathers case. It really hurts my family so much that my father is going to be inside for years. It’s a pain that I have never felt before. But one thing that comforts me is that I know you got him a deal that almost no other lawyer would have been able to pull off. You really limited his exposure. I now truly understand what you meant by that. It was so hard and painful to hear only five people giving brief statements about what they went threw. If that was painful I could not imagine a whole trial. It would have really hurt my whole family on a level I don’t want to imagine. Thank you for protecting not only my father from that but myself and my family as well. I would also like to really thank you for sticking with my family and this case. I know it was not easy. But you stuck with us and got us the best deal possible and for that I will always be grateful. Read a thank you letter from a client for successful post-conviction relief work. 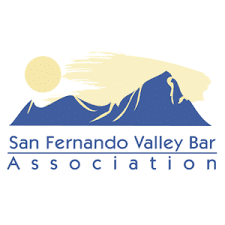 Read a thank you letter from a client accused of felony assault with deadly weapon; felony terrorist threats; misdemeanor violoation of temporary restraining order. Names are concealed to protect the attorney-client privilege. In August of 2011, my life exploded. I was in Ohio working on getting a movie going, when two detectives showed up at my door on a Wednesday morning. They said that a girl, whom I have been seeing, and having a sexual relationship with said she got raped. One of the detectives was convinced I was guilty as I have long hair and am a up coming film maker in California. My life turned into hell. I didn’t know what to do, the local attorneys seemed lame and I was warned by a local friend that all the attorneys are friends with the prosecutor, and make side deals. Being that Im from out of state they would automatically try to nail me. I came across Gina Tennen, and the Liberty Law Group, and decided to call them. Gina and her team got on the ball right away, or as Lina states: Unloading their AK-47’s. The detectives never showed back up as they said they would by the following Friday, and I was able to get out of the hell hole and back to CA even though one of the detectives t old me not to leave town. After three weeks of Gina’s aggressive defense the charges were not filed!!! I honestly have to say that Gina and Liberty Bell impressed me especially with their aggressiveness in my defense, which a lot of attorneys lack. They were also always there for me. Every time I made a call they would be there to speak with me, and comfort me. This was the toughest thing I ever dealt with in my life, and having Gina on my side was worth every penny. She saved my life, especially being that the false accusations were in a para-military state where your automatically guilty until proven innocent. Words can’t fathom the appreciation I have for these guys. Thank you SO MUCH Gina and Liberty Bell! You saved my life. I feel honored to write this review, and will gladly be a reference for anyone reading this, as I hope this never happens to anyone, but if it does there is no one better then Gina and Liberty Bell to come fight for you. Needless to say, our worlds turned upside down this past year. Sometimes it takes something so challenging to appreciate how easy going our life once was. My boyfriend and I went through colossal waves of challenges and it was difficult to see any bit of light on the other end. While prayer and positive spirits kept us moving, Gina Tennen and her local lawyer turned our hopes into reality within the courthouse. They were relentless in helping us and understood our issue as if we were their only client. 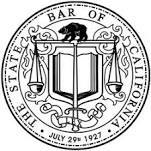 Due to their knowledge and their talent, our charges were reduced from a Felony to a Class B Misdemeanor. Gina and Jason helped the time to be reduced drastically and arranged to avoid conflict with work. We are anxiously waiting for this chapter to be over in our lives and we are so very thankful for the leaders we had on our side. We are forever grateful to the phenomenal team at LibertyBell Law Group!!! With their aggressive knowledge of the law, Gina Tennen, Matthew and her team of lawyers were able to reduce my charges from a felony to a deferred sentence. After 2 years of probation and classes it will be sealed off my record. For that, my family and I are forever grateful! Our attorney, Jack, represented us in juvenile court when our minor kid got into some “teenage” trouble. We were using another experienced (adult-law) lawyer which would have been fine until further complications occurred and the knowledge of Juvenile Law attorney became of critical importance. He was able to significantly minimize the consequences due to his intimate knowledge in Juvenile Law and support us every step of the way. We are now getting thru this ugly process quickly and with much less anguish due to his knowledge in juvenile law, support, assurance, and experience in these matters. I hope I never have to go thru this again, but if we do, I will be sure to come back to LibertyBell Law Group. Thank you, Jack and your team, for the good job. On July 3, 2009 my life was turned in-side-out. The local police came to my home and communicated that a young lady I helped told her parents that I raped her. The policemen appeared to be very angry and it was obvious that they came to arrest me. To them I was already guilty because of who she was. I could see my life, as many visions passed before me, being destroyed. I searched the internet and found LibertyBell Law Group. I met with Ms. Tennen and the local attorney and after the meeting I felt at ease because of their confidence, knowledge about criminal law and attitude toward the issues related to me. The next day Ms. Tennen contacted the detective and communicated that LibertyBell Law Group is representing me. 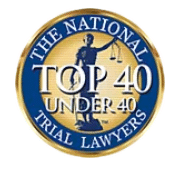 This was great and I was feeling better knowing that I have two great attorneys specializing in criminal law, and a firm that has a network of professionals and experts that deal with criminal law issues. Over a 10 month period Ms. Tennen stayed in contact with the detective and provided feedback on the process and status. After speaking with Ms. Tennen and the local attorney a sense of peace and calmness came over me. I was at ease after our conservation. Ms. Tennen and the local attorney went to work utilizing their skills, experience and professional relationships at the local level to gain insights about the case. About 2 days later I got a call from Ms. Tennen indicating that they got the prosecutor to drop the case. They presented my side of the story and persuaded the prosecutor that the young lady was lying. It is great when you have people that believe in you and fight for your justice. This was critical because the young lady had convinced the detective that I raped her. I was elated about this great news. Both Ms. Tennen (always on top of everything and has a “go get you” attitude with confident) and the local attorney (a respected, successful and well known attorney in the local area) are great at what they do. LibertyBell Law Group business model is great (a network of well known criminal law professionals and experts across the country). Thanks for believing in me, and helping me maintain my integrity, lifestyle and freedom. I would recommend LibertyBell Law to anyone. I want to thank my LibertyBell Law attorneys, Richard and Matthew, for representing me over the last several months. This has been the worst time of my life, especially when I have done nothing to warrant the charges leveled against me. I truly felt victimized by the false charges, accusations, and slanderous lies. Having your representation brought a tremendous feeling of peace to both my wife and I. Your positive attitude and wise council, along with your intervention with the school district, relieved us of a great deal of anxiety. I have already recommended several of my acquaintances to LibertyBell Law Group, if they ever need a good defense team. Again, thank you for all you have done for us. After our last conversation, I now feel confident that I can get on with my life. It gives peace of mind to know that you are there if this matter ever rears its head again. Please give my best to the attorneys that represented me. Thank you. We’d like to thank everyone we encountered at LibertyBell Law Group. Gina, Joshua and Mr. Gold, You are all excellent…! We feel very fortunate to have found your firm when we were in such desperate need of legal guidance. Our situation was truly unfortunate and we felt alone and confused until we came to you guys. Everyone’s professionalism and expertise gave us the assurance and security we needed to know that things were going to be alright in light of such a difficult time for us. We no longer felt alone nor afraid we were confident of the situation and we felt protected. Thanks to your excellent work and extensive knowledge we had a very successful outcome with our case and we feel that we can now start over and look at a much brighter future for our family. There are no words to thank you all for your hard work, dedication and such caring and compassionate support when we needed it the most and there is no doubt in our minds that you guys are the BEST! We could not have done it without you guys! We keep very high regards for everyone in your firm and we highly recommend LibertyBell Law Group to anyone who should need legal services. I have only positive things to say about the LibertyBell Law Group, Gina Tennen, Barbara and all the lawyers. From beginning to end, I never felt alone while having to defend myself legally and always felt that I had a team of lawyers watching my back. I never felt alone while my case was open, any question I had was always promptly answered. Whether by phone or by email, attorneys for the firm where always easy to reach and available for discussion to ease my fears. 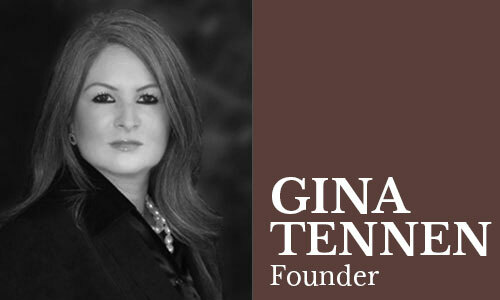 Unlike many attorneys, who are too busy for many of their clients, Gina Tennen and the rest of the lawyers were never more than a phone call away. The results were also better than could be expected. Gina and Barbara are aggressive and knowledgeable, and in my case their hard work ensured a more than favorable result with all charges being dropped. I personally could not be happier with my decision to go with the LibertyBell Law group! I highly recommend anyone having legal problems to give them a try. I wasn’t disappointed, and I am sure you won’t be either. I first spoke to Gina Tennen in a somewhat hysterical state. I had received a middle-of-the-night phone call from a jail informing me that someone I love very much had gotten himself a stay there. I managed to explain that I needed a lawyer for a possession case in between sobs and tears. From the beginning, Gina Tennen showed me that she would be a caring and devoted lawyer. I will never forget her asking me “Are you crying?? That’s alright, we can cry together if you like! Just tell me what happened…” She promised me that I was not only hiring one lawyer but rather an entire team of lawyers that would be available at any hour to work on our case. This was so totally true!!! 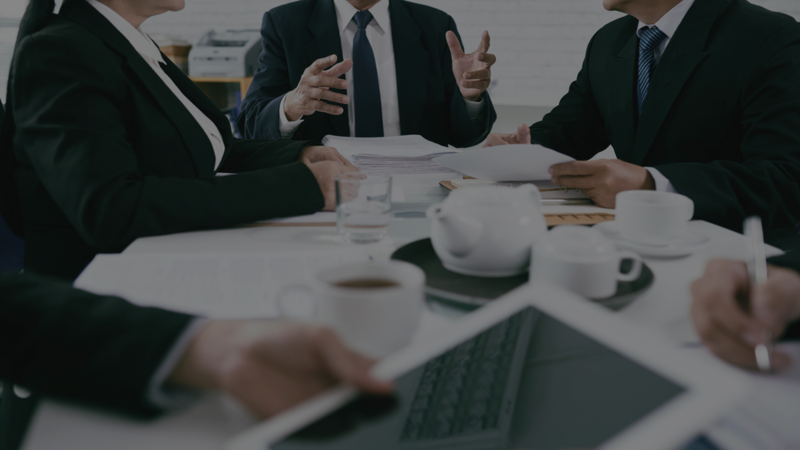 LibertyBell’s team of lawyers worked to review the evidence in my case and found many issues with the case, that when brought to the Judge’s attention the case was quickly dismissed. Thank you so much LibertyBell Law team. I am writing this email to offer you my sincere thanks for your support and vigilance during my difficult situation. I have never engaged a lawyer who was so conscientious and customer service savvy. I never called your office and had to call a second time to get a response. I knew you would call me back in a matter of minutes or hours not days and weeks. For this I congratulate you and thank you. Your services were well worth the fee. I wanted to thank you for your attention to detail, and patience. No matter how this turns out, I just wanted to thank you for looking out for me, in spite of my short comings. I know you are going to say you are just doing your job, but I thank you anyway. I would like to thank you for taking my case and for responding to all my calls promptly. I am very pleased with the outcome of my case and I will recommend your team of attorneys and the LibertyBell Law Group to others without any hesitation! Thank you for the excellent result of my son’s case. I trust my son has finally learned his lesson No more run ins with the CHP! Thank you LibertyBell team! You set my Heart at ease when I needed it the most. Now, I come ready and renewed with a new fianc at my side. I can’t thank you enough. Gina worked hard with my case to get the best possible outcome. She was very understanding, and answered all of my questions. It was very helpful to have her support and comfort in a time like that. I believe it was her dedication that got me the best outcome for my case. Gina Tennen has represented us in court and we are very satisfied with the way she handled our case, she was professional and very knowledgeable of the law. We highly recommend Gina to anyone to use her legal services. We have been in the court room when Gina has handled some very tough criminal cases for a friend of ours and she was successful with all of them. Two of the cases were dismissed and one went to trial with a not guilty verdict. She was very professional, knowledgeable and tenacious. Gina congratulations for a job well done. My fiancé and I want to thank you for everything you are doing to make us feel assured that we will likely have a long, happy life together. For the first time in my life, I feel how I think the average person must feel on a daily basis, and that, itself, makes me hopeful beyond words. Our criminal lawyer testimonials and attorney reviews are written by LibertyBell Law Group’s former clients. We do not post client names to protect the attorney-client privilege. We do hope you find our lawyer testimonials and reviews helpful and perhaps offer insight into what our clients think and say about LibertyBell Law Group criminal attorneys. The testimonials and reviews for our lawyers are listed according to the time we receive them; the most recent attorney testimony is at the top. If you are a client, we encourage you to write a testimonial about your experience with LibertyBell Law Group criminal lawyers. When you or someone you know is charged with a crime, selecting the right lawyer can be the hardest and most important decision. Equally treasured are the attitudes and relationships our criminal attorneys have with clients. Reading our testimonials and reviews not only helps you but also helps us know what our clients value most about our legal representation and what they found most helpful or comforting, which is as important. At LibertyBell Law Group, you’re not just a case file; you’re a real person with real life issues. We are honored to provide you with top criminal lawyers. This web page is dedicated to helping others in search of an attorney make a decision based on what real people say. You be the judge. Fancy advertisements are nice, but reviews on lawyers written by people are invaluable. The testimonial can be as long or as short as you wish. You may email or fax it to us. You may also mail your handwritten or typed testimonial if you have difficulty accessing a computer or fax machine. If you do, please include your name so we can verify you were or are, in fact, a client of ours. To protect your identity we will mask your name and any kind of identifiable information from the testimonial. We will post the handwritten or typed attorney review as is with your identity completely concealed. We recommend you write a testimonial and review about our criminal lawyers as if you were chatting with a friend. Be sure to read LibertyBell Law Group criminal lawyer reviews that are independently verified by Customer Lobby. Don’t forget to check our winning case results which are further testimony of our highly rated criminal defense attorneys. We are extremely grateful to all who have written us and asked us to post their testimonial. We are also very appreciative to all those that have written great ratings and reviews about our criminal defense lawyers on other sites as well. They are very encouraging and LibertyBell Law Group criminal lawyers are honored to be reviewed with such high merit. Thanks to all who have written an attorney review or testimonial.